VIP airport transfers and executive travel for corporate clients and private individuals. Modern, Classic and Vintage Wedding Cars servicing Midlands, showroom in Birmingham. Finishing Touch Cars is proud to offer one of the UKs most diverse fleet of limousines, wedding cars and chauffeur driven executive cars. Having been established since 1985 the steady growth has been achieved by offering first class service as well as great value for money. We realise how important your special occasion is and our service will ensure it is one you will never forget. With a fleet of over 30 vehicles ranging from Limousines, Bentley's, Rolls Royce's to Hummer limos we pride ourselves that we will have the right vehicle for your occasion. All of our vehicles are top of range models and have the latest features and designs. Our limos have been custom built to our top specification with features such as multiple LCD TVs, top of the line sound systems and lighting effects. All of our chauffeurs go through extensive selection and training process. If you are thinking of hiring a limo be sure to contact us to obtain a no obligation quote. Many ladies would certainly prefer to spice up their party making it memorable by adding a surprise element like our limos or party bus. Decorated with balloons, banners, exclusive party invites, badges for all the passengers and a toy limo wrapped and personalised for the birthday person. 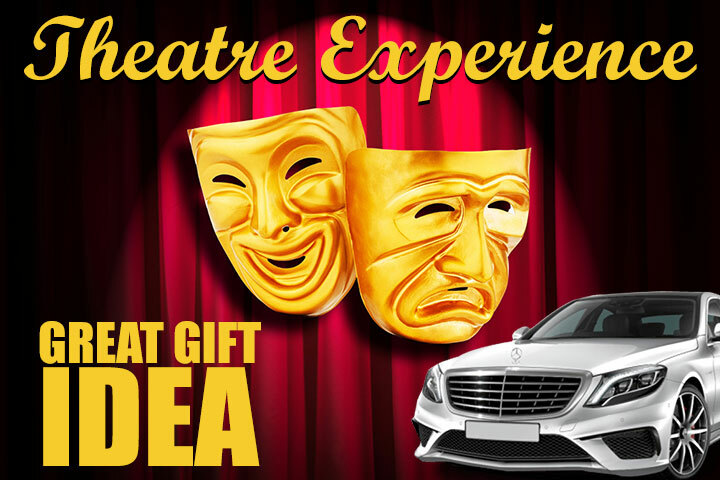 Make your trip to the theatre extra special with a chauffeur hire for theatre trips, Treat a loved one to a special evening at the theatre or even better treat yourself. Ideal for special occasions offers an incredible amount of rear passenger leg room smooth, elegant and stylish luxury car hire with sheer road presence. We have some of the latest and most exotic limos on our fleet such as the Range Rover Limo and Party Bus limo. Both of these were customised especially for us utilising some of the best party lighting systems available and sumptuous leather style seating. The Party Bus even includes a Karaoke system and a dance pole. When it comes to limos Finishing Touch Cars have some of the finest limousines available in the UK. With our head quarters based in the Midlands we can cover a large number of towns such as Nuneaton, Rugby or Stafford. You are welcome to view our wide range of limos and wedding car hire options. We have clients come as far as Stoke On Trent, Coventry, Telford and Warwick to view the range of cars because we have such a large and diverse fleet. With our head office based just outside Birmingham we are in an ideal location to cover the Birmingham area. Our Limo hire Birmingham service has been popular since our inception and we transport our clients to the most popular attractions every week. If you want to be transported to the Birmingham Hippodrome or to Broad Street for a night out, limo hire is the perfect way to arrive in style. 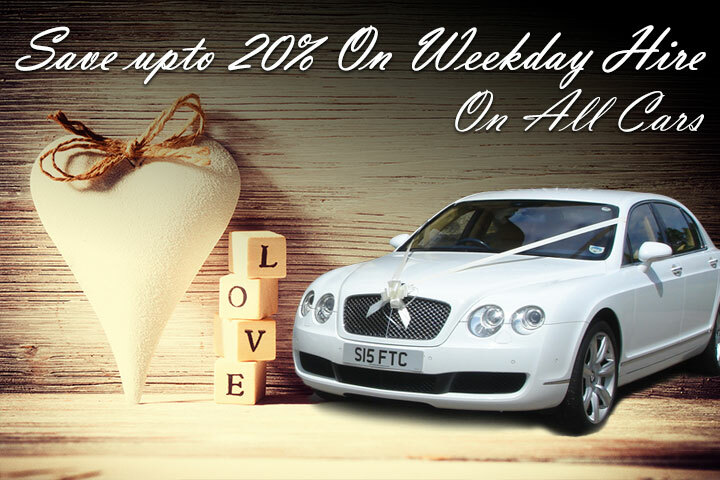 When it comes to wedding cars in Birmingham we are confident we have the right car for you because of the large range of vehicles we have on offer. Our wedding cars come in a range of colours including white, silver and cream. We also offer a range of different capacities from 2 passengers up to 16. Our wedding car hire service has been established since 1985 so we are one of the most experienced firms in the UK. Finding affordable pink limo hire in Birmingham isn’t always easy. At Finishing Touch Cars we are proud to offer some of the lowest hire prices in the UK. Our pink Hummer limousine has been customised in California and it is perfect for the ultimate girl’s night out. It is also often booked for proms and hen parties. Call us today to receive a competitive quote on this one of a kind service. If it’s cheap limo hire in Birmingham you are searching for, we have it covered! Finishing Touch Cars provides some of the most affordable limo hire packages in the UK. You can get fantastic deals on top limos such as the Baby Bentley, Hummer and the Lincoln stretch limousine. Call us today to find out just how affordable limo hire can be! Our range of luxury wedding limos is both affordable and incredibly stylish. When you book your limo with us, we provide you with an exclusive service tailored to your needs. The Lincoln stretch, Hummer and Baby Bentley are just three of our most popular limos available. Why not come along and view our fleet to see which limo would be right for you? When it comes to modern limo hire, the Hummer limousine is definitely one of the best. The first thing you will notice about this limousine is its size. The Hummer is absolutely huge. It towers over most other cars on the road and it is sure to get you plenty of attention. This is a fun limo that is often hired out for proms, stag and hen parties. Finishing Touch Cars has a fantastic selection to choose a Hummer limousine. The pink edition Hummer Limousine is especially popular. Made in California, this limo has been designed exclusively for us. Our Hummer limo hire Birmingham is competitively priced and you are guaranteed an experience you will never forget. Party bus hire Birmingham is one of our most requested services. Referred to as “the nightclub on wheels,” this fantastic vehicle is perfect for parties, nights out, sporting events or for a day at the races. If you are travelling with a large group then this could be the perfect hire option. Our party bus is one of a kind and has been specially customised for us. It seats 16 passengers and is kitted out with some pretty impressive features. The bus even has its own dance pole which can be a lot of fun after a few drinks! Contact us today to arrange a viewing or to receive a no obligatory quote. Sometimes only the best hire car will do and that is where Rolls Royce hire in Birmingham comes in. The Rolls Royce brand is well known throughout the world. The company supplies some of the most prestigious cars that are built to impress. Not only do they look fantastic, but they are extremely comfortable to travel in too. At Finishing Touch Cars, we offer competitive prices on our Rolls Royce models. You can choose from either a silver or white Rolls Royce Phantom. Call us now to arrange a viewing and to see why this is one of the most requested hire services in the UK. Once a medium size market town, Birmingham is now the second most populous city within the UK. It was the Industrial revolution which gained international acclaim for the city. Right in the centre of the West Midlands, Birmingham is frequented by people from all over the nearby towns and villages. One of the main things Birmingham is famous for is its accent. Commonly referred to as ‘Brummies,’ locals have a unique Brummagem dialect. You will find that the area also has a large ethnic diversity. It is a very cultural city with many unique and interesting activities to experience. From literature to museums and the theatre to comedy events – there is always something to suit the arts and culture lover. 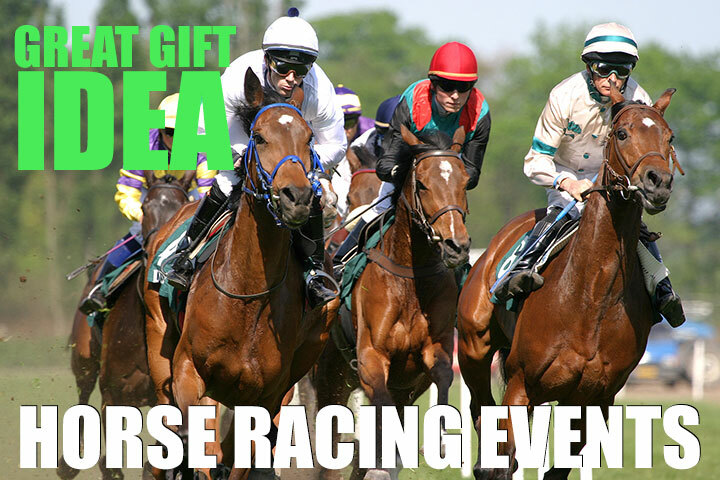 As the city has a very good transportation network, you can easily visit nearby attractions. Take a look at attractions in Stafford, Herefordshire, The Black Country and Shropshire and other nearby towns and cities to see what’s available. What better way to explore this fantastic city than in the comfort of a luxury hire car? We have more than 30 different cars in our fleet. We highly recommend you contact us to arrange a viewing. Limo hire Birmingham doesn’t have to be expensive. We pride ourselves on offering some of the lowest car hire prices available in the UK. You have many types of wedding venues in Birmingham to choose from. If you are looking for a modern venue that caters to civil ceremony weddings then the Plough & Harrow Hotel could be the perfect choice. This Victorian style hotel is located in a private, peaceful setting with stunning grounds. It is the perfect place to have both your wedding and reception. If you are looking for a more romantic, traditional style wedding then the Highbury Hall is ideal. Just 3 miles out of the city centre, this venue is picturesque and easy to get to. You are guaranteed first class service in a breath-taking environment. Perhaps you are looking for something a little more unique? The Old Library situated in Digbeth is a fantastic choice. It is a quirky venue with a very romantic atmosphere. It features gothic elegance and its location provides interesting photo opportunities. If you are travelling to Birmingham with the family, you have an abundance of attractions to keep your kids entertained. Thinktank Birmingham Science Museum is a great cultural family activity to check out. It’s one of the most modern museums in the UK and it provides plenty of interactive fun. The planetarium in the museum is outstanding and definitely not to be missed! The National Sealife Centre Birmingham is another great family attraction. One of the best features of this attraction is the huge one million litre ocean tank. You’ll discover tropical reef fish, giant green sea turtles and black tip reef sharks. This is an attraction you and the kids will never forget! Dudley Zoological Gardens is a great nearby attraction to visit on your trip. You can walk freely with the lemurs and view otters and primates as you walk through a rainforest. This is one of the best wildlife themed attractions available in the West Midlands. When it comes to nightlife, Birmingham really does have it all. Whether you feel like dancing the night away in a nightclub, sipping cocktails in a stylish bar or enjoying a few laughs at a comedy gig; there is something to suit you in this great city. The Arcadian Centre is one of the best places to head to during your stay. It features plenty of funky restaurants and bars, along with a great comedy club. You can find it in between the Theatre District and Chinatown. You can always check out the National Indoor Arena, the O2 or the LG Arena to see what live music events are on during your stay. The city has many great live music venues from intimate bars to large arenas.